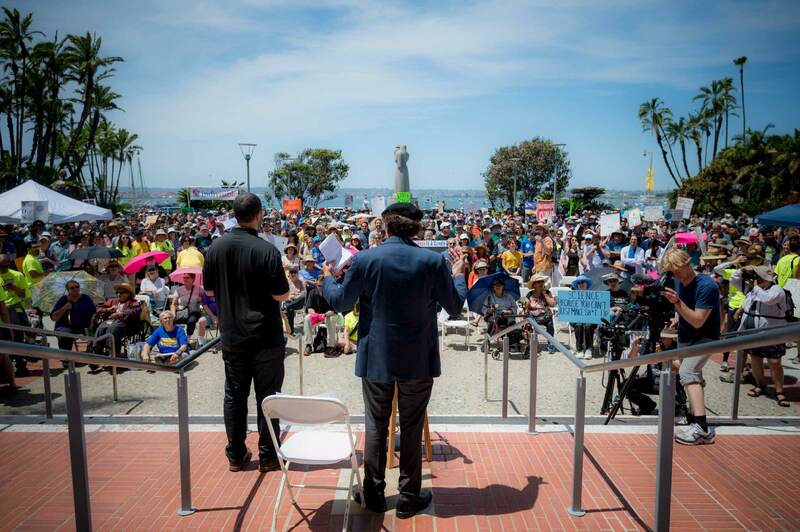 Academics across the nation, many of whom were previously reluctant to become public advocates for research, voiced their collective support for science at the March for Science on Earth Day and the People’s Climate March last weekend. Now, many are asking, what’s next? How can they continue to advocate for and communicate the relevance of their work to the public, political representatives and the news media? This month, UC San Diego’s Divisions of Biological and Physical Sciences will launch a Research Communications program designed to address that need. Funded by a two-year, $225,000 grant from the Gordon and Betty Moore Foundation, the new effort seeks to improve the ability of faculty members, postdoctoral fellows and other researchers on campus to communicate their work to the public. “In an age in which there are significant doubts among certain portions of society about the value of science and scientific discovery, it’s vitally important that today's research scientists find better ways to communicate to the public the value of new discoveries in science,” said Jeffrey Remmel, a professor of mathematics and the program’s principal investigator. Drawing on expertise across many disciplines, the first year of the program will teach researchers to become more effective communicators inside as well as outside the classroom. 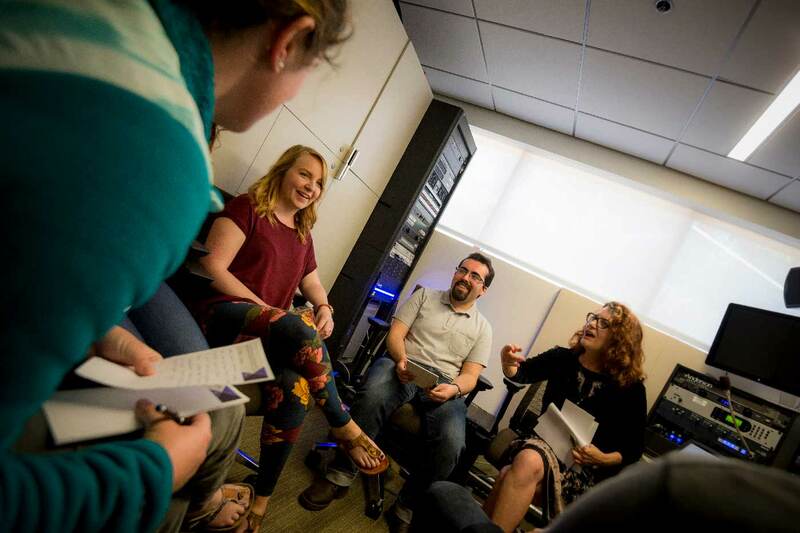 A three-day, hands-on workshop, “Talking Research: Improving Science Dialogue,” taught by Kim Rubinstein, a professor of theatre and dance, for example, will strengthen the ability of faculty members to vividly articulate their research to a variety of different audiences. Other workshops this year will teach researchers how to use video, images and social media to explain their work to the public, as well as to connect with venture capitalists and work with professional scientific societies to become public representatives for their disciplines. The first event for the Research Communications program is a May 17 seminar by Dennis Meredith, a science communications expert and author of Explaining Research: How to Reach Key Audiences to Advance Your Work. His talk, which runs from noon to 1 p.m. in the Natural Sciences Building auditorium, will provide researchers with an overview of the tools and techniques for giving effective presentations. 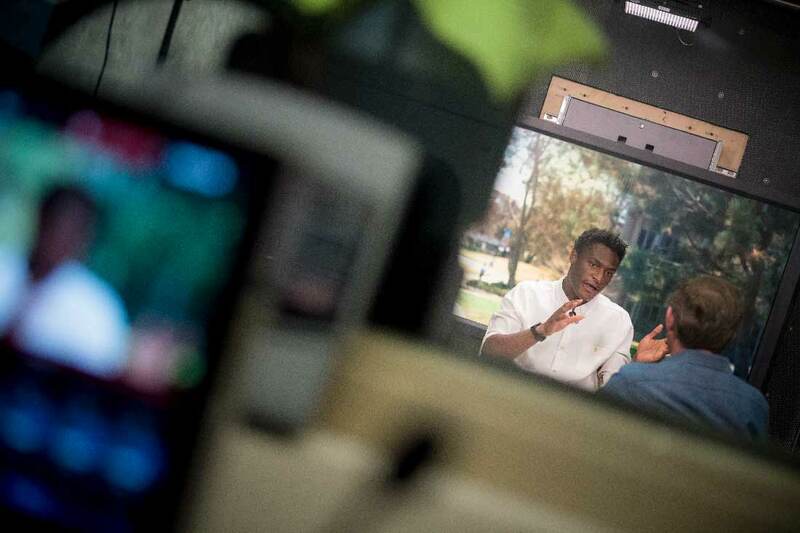 He will also show faculty members and others how they can more productively work with the news media. That seminar will be followed by two in-depth workshops in June. One will show researchers how to tell their stories of discovery by working closely with their designated campus communication directors. The other is the three-day hands-on Talking Research workshop taught by Rubinstein that will combine techniques from theatre improvisation, journalism and brain science to help faculty find the spark or root of their work, distill their message, develop their own voice and engage listeners by speaking with authenticity. The workshop will culminate in a media day in which faculty will be interviewed on camera and critiqued by Rubinstein. The second year of the program will feature workshops designed by science communication experts on campus as well as nationally recognized experts from outside the university to help researchers improve their ability to connect with political representatives and federal and state science agencies. Other workshops will help faculty by developing research-based strategies for effective dialogue with the public about politicized or contentious scientific issues. “Given the current threats to core science funding, this new Moore Foundation-supported program will allow our scholars and other experts to teach scientists how to explain the beauty and significance of their discoveries to anyone, not just other scientists,” said McGinnis.